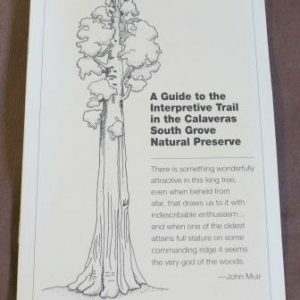 A Guide to the Interpretive Trail in the Calaveras South Grove Natural Preserve. This interpretive guide gives you a great description of the Big Trees in the South Grove and their environment. A Guide to the Calaveras North Grove Trail. 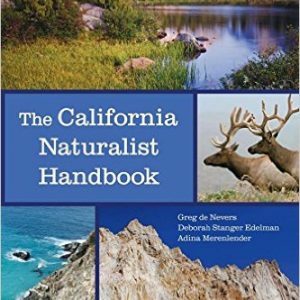 This interpretive guide gives you a great description of the Big Trees in the North Grove and their environment. A field guide to trees in the Calaveras Big Trees State Park. 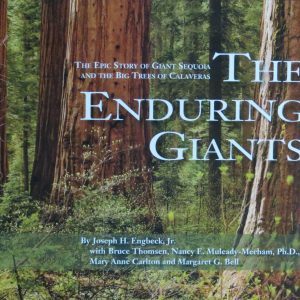 Enduring Giants – The Epic Story of the Giant Sequoia and the Big Trees of Calaveras *4th Edition 2013*. By Joseph H. Engbeck Jr. with Bruce Thompsen, Nancy E. Muleady-Mecham, Ph.D., Mary Anne Carlton and Margaret G. Bell. Published by The California Department of Parks and Recreation in cooperation with Calaveras Big Trees Association. 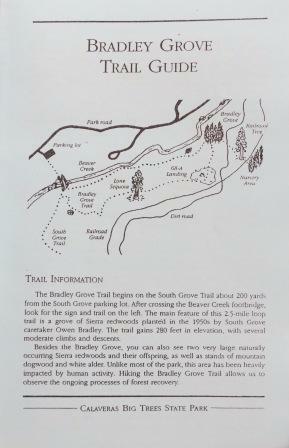 The Bradley Trail Guide – Hiking the Bradley Grove trail allows us to observe the ongoing processes of forest recovery. This guide is Free. 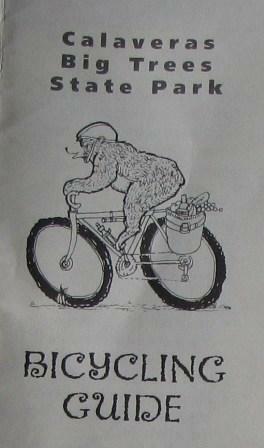 The Bicycling Guide is a must for all Bikers who want to explore Calaveras Big Trees State Park by Bike. Includes a map, rating of rides and ten great rides. From tiny seed to largest tree, the giant sequoia is a living wonder of nature. Numbers fail when trying to describe this ancient and tremendous tree. The giant sequoia begins life as a seed no larger than an oatmeal flake yet can grow as tall as three blue whales stacked chin to tale. The oldest sequoias have lived as long as forty human lifetimes. The largest are so enormous, twenty children holding hands can’t wrap their arms around the trunks! 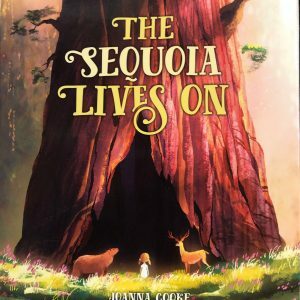 In evocative text and vibrant paintings, The Sequoia Lives On shares the life story of the giant sequoia, casting light on natural questions: How does this tree grow so big? How does it live so long? An extensive author’s note completes the portrait for young readers, inviting them to become the next generation of protectors for the giant sequoia. Checklist of the Birds most commonly found in Calaveras Big Trees State Park. A wonderful collection of wildflowers found in our Beautiful Calaveras Big Trees State Park. 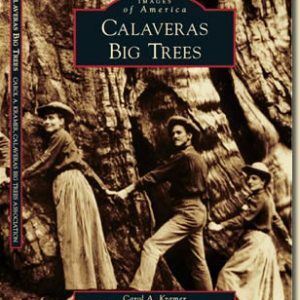 Published by the Calaveras Big Trees Association.